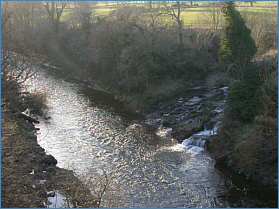 The main sea trout rivers of Central Scotland flow eastwards into the North Sea and, although sea trout stocks are not what they once were, the fishing on these east coast rivers has not suffered the dramatic collapse of stocks seen on the west coast. Rivers like the Spey, Deveron, Findhorn, Dee, South Esk and Earn still have worthwhile runs of summer sea trout and the visiting angler will find opportunities on many of them for a few nights fishing. The map below shows the main sea trout rivers on the central Scottish mainland, in the highland counties of Nairn, Moray, Banff, Aberdeen, Angus, Perthshire, Stirlingshire, Argyll and Inverness. Clicking on a green dot will take you to a page showing detailed maps of each river and information on the sea trout fishing available on the rivers in central Scotland. 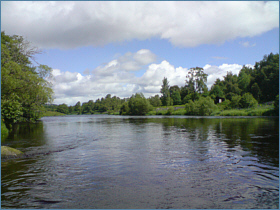 For more information on the sea trout fishing available on the central Scottish rivers and lochs, including detailed maps, please select a sea trout river or loch by clicking on a green on the map or on a river name in the list to the right of the map.